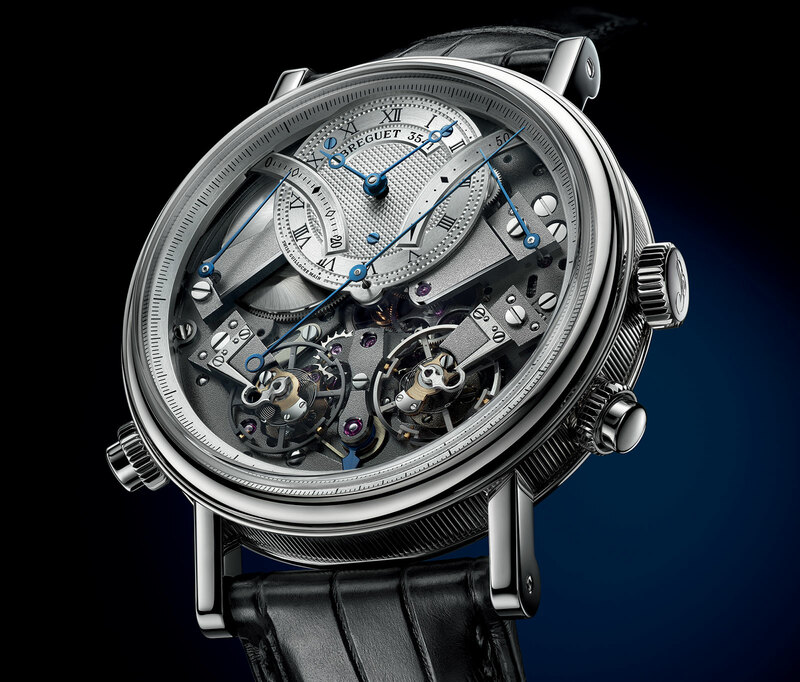 Breguet has notched up one of the most novel chronograph movements on the market with the Tradition Chronographe Indépendant 7077, featuring twin gear trains and an unusual, blade spring that powers the high frequency chronograph. The La Tradition marks its tenth anniversary this year with a trio of additions to the line, including the Tradition Retrograde Seconds presented before Baselworld. 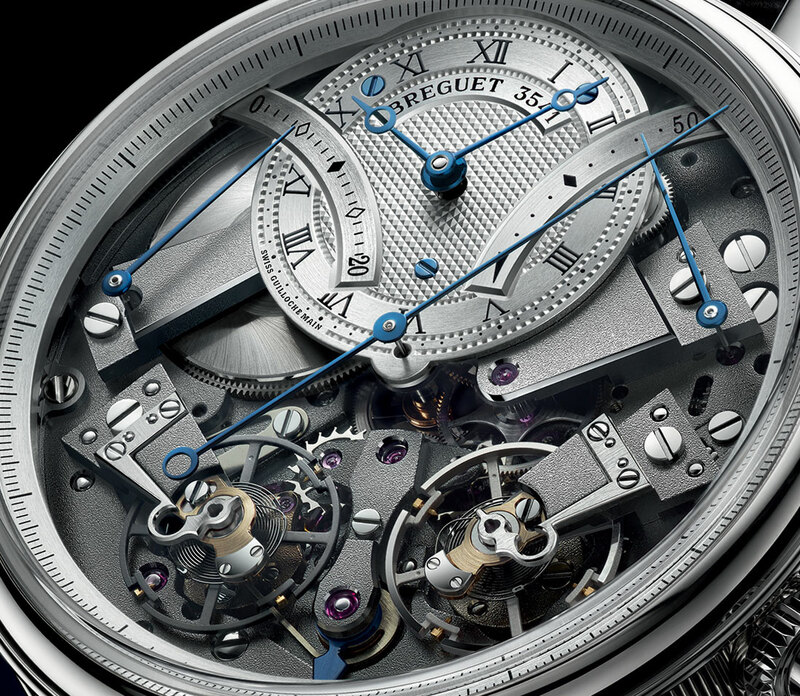 Breguet‘s signature modern timepiece deserves something more notable, and the Tradition Chronographe Indépendant 7077 certainly fits the bill. Essentially made up of two movements, one for the time and another for the chronograph, the basics of the Tradition Chronographe are not new. 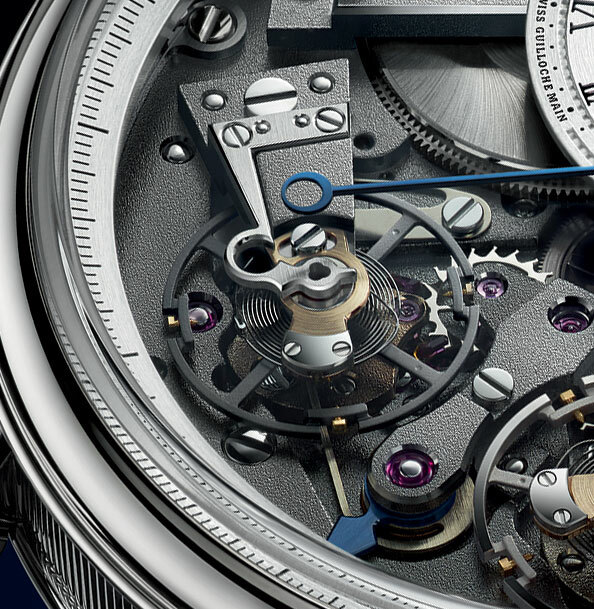 The details of the chronograph mechanism, however, are unique, making it one of the most interesting chronograph movements in recent memory. Unlike the time display mechanism which has a traditional coiled mainspring, the chronograph is powered by a small blade spring (think of it as a long and thin piece of metal). This spring is independent of the crown, instead it is wound whenever the chronograph is reset by the motion of the reset button. This removes the inconvenience of having to wind two mainsprings by the crown, which is usually needed for twin mainspring watches. Because the blade spring is so small, pressing the reset button once is enough to bring it to full wind. The power reserve of the blade spring is necessarily short, maxing out at just 20 minutes thanks to a optimised form that ensures maximum tension whenever it is wound. However, it is good enough for the chronograph, which can record times of up to 20 minutes on the arc at 10 o’clock (the other indicator at two o’clock is the power reserve). That’s certainly shorter than the typical 30 minute chronograph, but in truth it is sufficient for purposes like boiling eggs and other trivial tasks that are made more fun with an expensive, mechanical chronograph. Because the blade spring delivers non-linear torque, in other words the power it supplies drops sharply to the end, the chronograph includes a constant force mechanism. A “non-concentric going train”, which means a gear train with wheels that are not circular, delivers constant torque to the chronograph escapement. The chronograph balance wheel runs at 36,000 beats per hour (bph) or 5 Hz. In contrast, the balance wheel for the time display runs at a more conventional 28,800 bph or 3 Hz. Despite its higher frequency, the chronograph balance is the same size (high frequency balance wheels are often smaller) – an intentional design decision to ensure the dial is symmetrical. That was achieved with a lightweight titanium balance wheel for the chronograph, while the timekeeping balance is a traditional Glucydur type alloy. Two brakes against the titanium chronograph balance, releasing it when the chronograph is started. Each of the brakes is designed to ensure the chronograph balance always stops at the ideal position for restarting, so that it immediately begins to oscillate at the right amplitude once the chronograph is started. Without such a feature, the chronograph balance would take a moment to reach the right amplitude (degree of oscillation of the balance), meaning the initial elapsed period measured would be wrong. 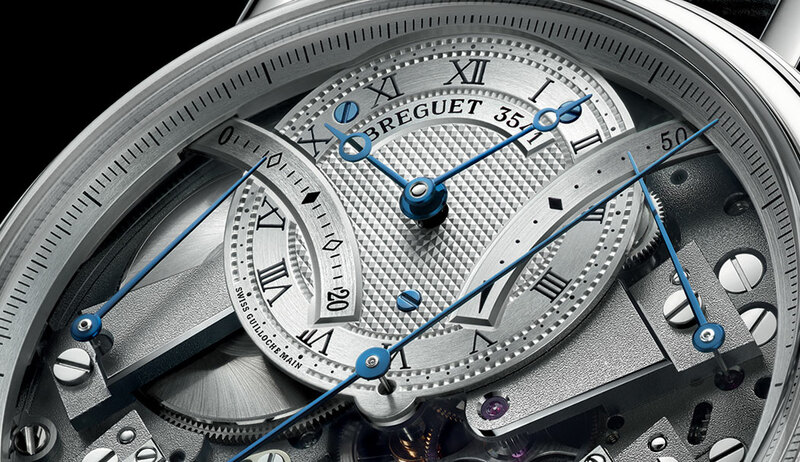 Both balance wheels have silicon Breguet overcoil hairsprings, along with silicon pallet forks. The timekeeping display has a 50 hour power reserve. The Tradition Chronographe Indépendant has a 44 mm case avaialble in white gold for 77,800 Swiss francs, or in rose gold for 77,000 Swiss francs. Prices in Singapore dollars are $114,500 and $113,300 respectively.